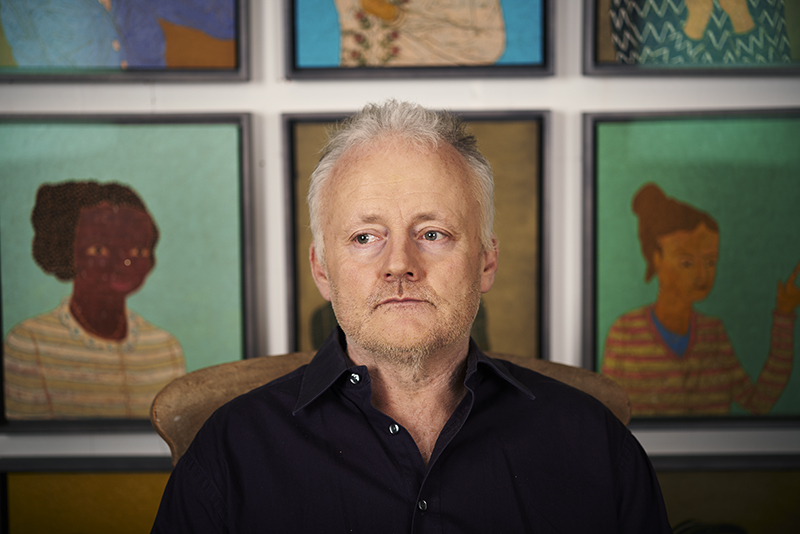 Stephen Chambers is one of 7 Royal Academicians, who have connections with Cambridge, taking part in RA250 at the Fitzwilliam Museum. “As always I champion the maverick; the independent thinker who fits no stream, no strata. I am in no way a nationalist, nor a scholar, but Blake’s Englishness appears evident, and at his core. This is a personal observation, but I see his work as a visual conversation with the world around him. His mistrust of its conventions, doubts over its priorities, and his recognition that he could neither adapt or adjust. “Like all great artists he cut his own furrow. I don’t see him as a wanton non conformist, rather he was doing all he could. Images brewed in his brain, poured down his arm, and spilt on to plate or paper. Doing what he could not help but do; that is where individuality lies. “Several years ago, to coincide with Tate’s Blake exhibition (where his studio was recreated in one of the galleries, – how weird was that?) several artists were invited to make transcriptions of his works. I made two small panel paintings based on engravings from The Gates Of Paradise. The exhibition happened but I continued to make my own painted versions of these engravings, I have now made most, if not all. They were made as a devoted way of looking closely at images that I am intrigued by. I have a history of this (Brueghel’s Twelve Flemish Proverbs, amongst others). An observed response, they are, so to say, a silent conversation, a one way love letter. 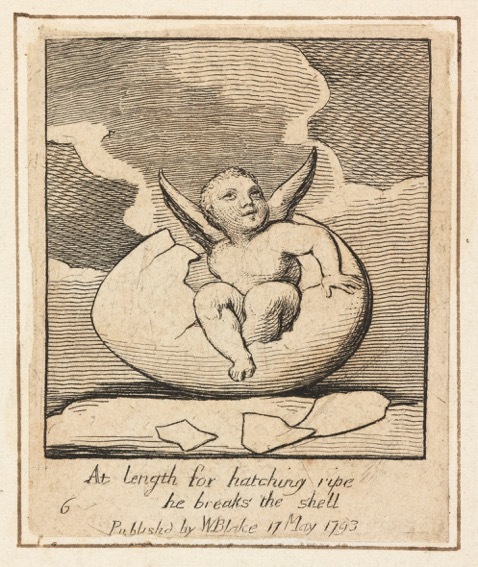 “This engraving, and angel hatching from an egg, is a particularly odd image, but hey, so is a baby with wings. 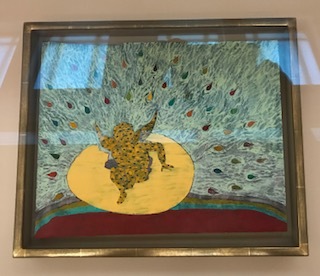 I have the painting because I gave it to my late mother. The others are all in various locations. Blake’s engravings vary in size and scale a lot, from tiny, to small. It is his adherence to his source, and his hand writing that is consistent. Stephen Chambers’ temporary exhibition The Court of Redonda (2016-2017) will be at the Heong Gallery, Downing College, 24 February to 21 May 2018. 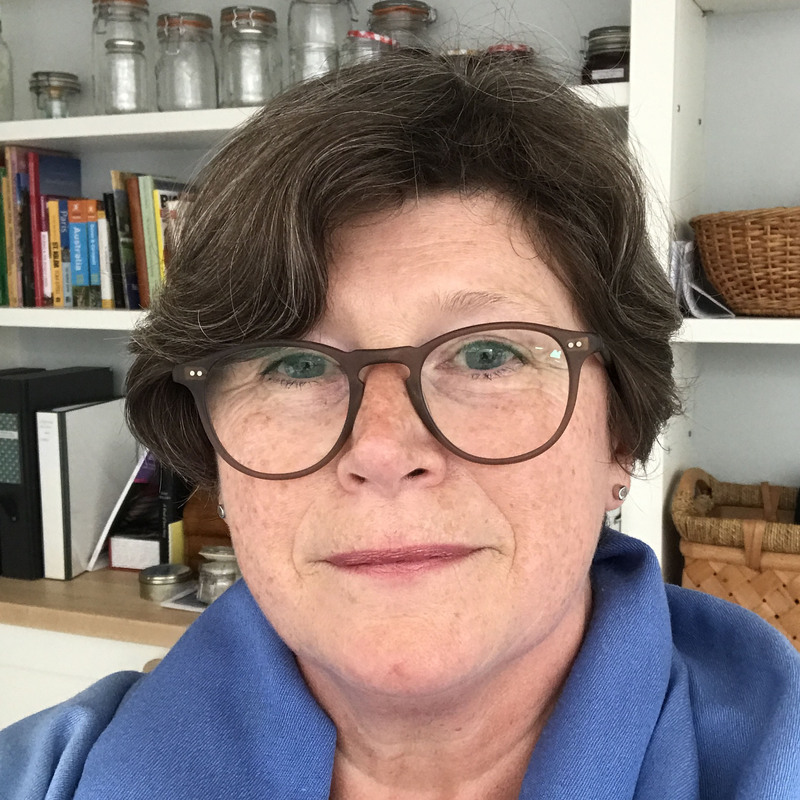 He also has works in the collections of St John’s, Emmanuel, Downing, Christ’s and Jesus Colleges, the Chemistry Faculty and Cambridge University Library.